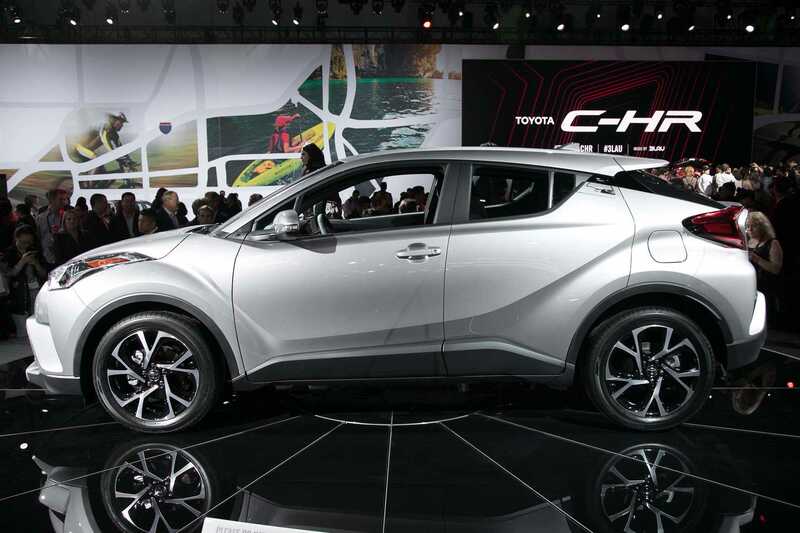 The 2018 Toyota C-HR was revealed at the Los Angeles auto show and the stylish, sleek car is prominently aimed at convincing the young buyers to go for it. The compact crossover segment is a hot property in the automobile industry. Young people love these cars and almost every brand has their own version. There’s the HR-V for Honda, CX-3 for Mazda while Toyota plans to join the fray with its C-HR. The new car was officially launched at the 2016 Los Angeles auto show amidst much fanfare and the strikingly stylish design caught on quickly than they would have expected. The C-HR is abbreviated as coupe high rider and has all the basic changes done to make it look sleek. The windows are narrower with highly raked rear glass, low slung rooflines and blackout B-pillars with high beltlines. These are some of the design changes among many that can found in the new vehicle. Focusing more on the design than performance is common when it comes to making user friendly, fuel efficient models. The form over function idea is embraced by buyers as they love what is being offered instead of groundbreaking speed that is hardly going to matter in a daily commute. The 2018 Toyota C-HR follows the path set by Range Rover Evoque and Nissan Juke. 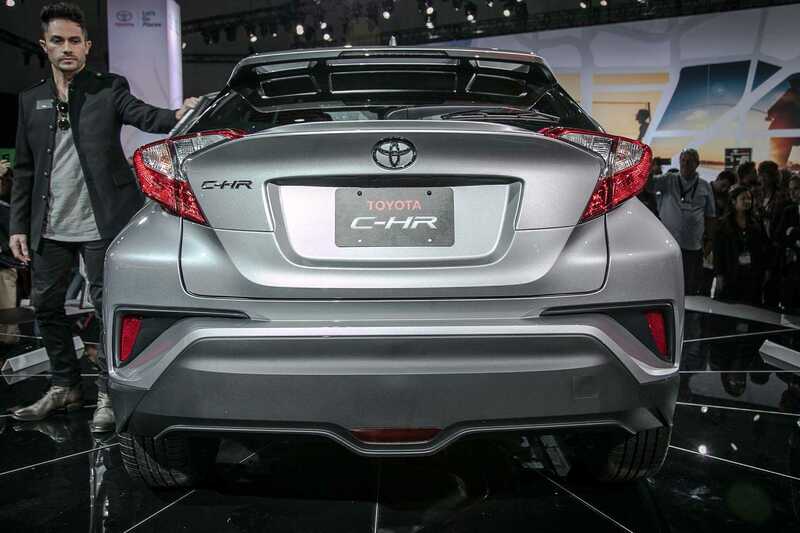 The newest version of the C-HR is not only sleek but has a muscular finish. The diamond theme is carried throughout the model making it look aggressive besides standing proof to the fact that it houses the best of latest technology and comfort. The slim headlights add a vibrant touch to the front fascia of the car and there are deep curvaceous lines on the sides that go all the way up to the Toyota badge. There are large 18-inch wheels that adds an increased height to the model. The standout feature is the double spoiler making the car look a lot futuristic and its design may hardly look outdated even in the next five years or so. The model is built on the TNGA platform and is powered by a 2.0-liter inline four engine capable of producing up to 144 horsepower. The powertrain is mated to a continuously variable transmission system, CVT which is quite the same as a seven speed automatic gearbox but implements newer technology for faster gear shifts. The additions allows the car to be faster on the road, more fuel efficient and smooth ensuring a comfortable ride for the passengers onboard.